Food processing has been a practice employed for so many years. It allows perishable food to be preserved, shipped and stored in distant markets. Due to its higher shelf life, the demand for processed food made the industry as one of the most competitive sector globally. One of the most common forms of food processing is the canning method. The objective of food canning istocurtailmicroorganisms in the foodand prevent any contamination.That is why advancedequipment and automation are used to minimise human contact with the food product, which results in an increased shelf life and freshness. In addition,canning processalsorequires accuracy in terms of data input. Due to stringent protocols in monitoring temperature and other necessary procedures, having a reliable peripheral to navigate an application’s interface isacrucialfactor.Byequipping a computing system withindustrial pointing devices,food processors canensureaccuracy and efficiency in operations. So, why areruggedisedpointing devices suitable for food canning operations use?This blogwill help youunderstand how this device can be utilised to streamline overall operations. Canningfacilitiesuse computing devicesfor quality control, monitoring thestatus of a machinery or other automated functions.A computing system with a robust pointing device assures an efficient navigationfor a more streamlined and fast production. Moreover,these devices have trackball or touchpad options.The trackball is astatic pointing device with a ball on its top whilsttouchpads are pressure sensitive, which requiresgliding fingermotion to move a cursor.This means users can choose which of the two is most appropriate for specific operations.But, rest assured that these pointing devices can work efficiently in the canning process. 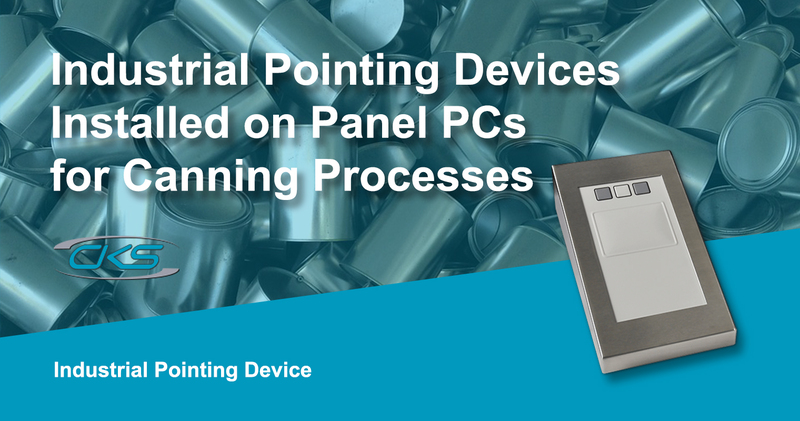 In the next section, get to know the top reasons why installing pointing devices on panel PCs are suitable for canning operations. So, how do food processing operatives manage and organise canning procedures?By using embedded computers with industrial pointing devices, it canprovide dynamic interface navigation. Italsohelps in speeding up the automated process and keeps operations organised and streamlined. Pointing devices are excellent peripherals since it creates an efficient and dynamicworkflowwithout too much strain on the operator. Since it has different mounting solutions, trackball or touchpad options, users can have it modified formore systematicprocesses. Thus, it creates an ergonomic and straightforward work environment for operators. Trackerballor touchpad pointing devicescanonlytakeup a small space. These rugged pointing devices do not need a flat space to work effectively.Furthermore, itdoes not need a wide space to glidethe cursor across a computer screen. Personnel can navigate aninterface without having to move thehand over a large area. Industrialtrackerballand touchpad pointing devices can be easily controlledusingonly the fingers or thethumb. Since only the fingers are required to move the pointer, any issues with accidental hand movementscan also be prevented. Moreover, personnel will have finer manipulation and control,which resulting inprecision and accuracy. Needless to say, food processors, including canning companies, utilise a computingtechnologythat isnecessary for its operation.Havingan industrial-grade peripheralsuchaspointingdevicescan ensurethat it can providea dynamic software navigation.This helps in reducingthe time forprocessingand at the sametime,increasingtheproductivity incanningoperations. Contact a trustedindustrial PC manufacturertoday to learn more about using industrial pointing devices in food canning facilities.